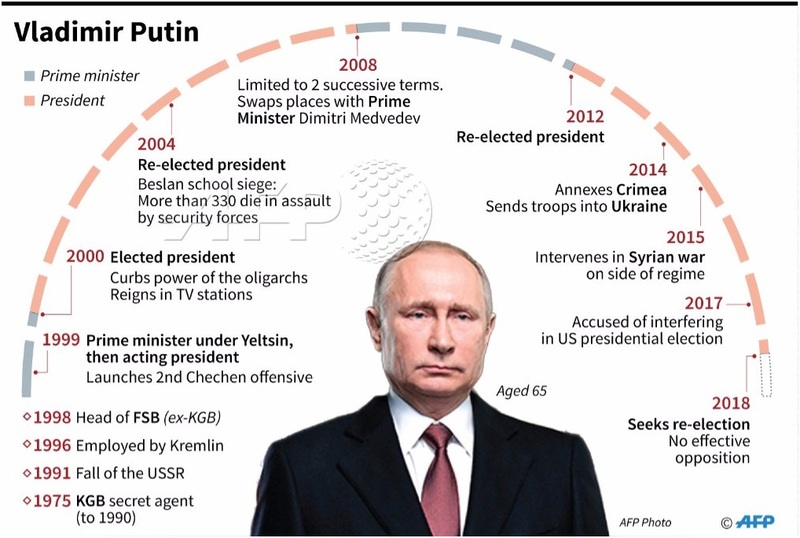 Some analysts say that after 18 years of leadership -- both as president and prime minister -- Putin fatigue may be spreading across the country, and many Russians are expected to skip the polls. 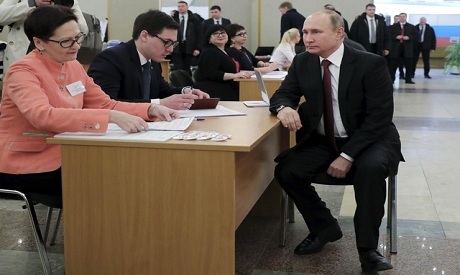 Putin, who has run under the slogan "a strong president -- a strong Russia", has declined to take part in televised debates and shot no new material for his own campaign advertisements. "I don't know where to turn to complain," he said, insisting Putin was still Russia's best hope. Levada's Stepan Goncharov said the independent pollster -- which was barred by law to publish research related to the election during the campaign -- expected turnout to be between 57 and 68 percent.